Customer Support was the focus of another informative San Francisco Customer Success Meetup session in March. It was hosted by Docusign in their executive briefing conference room overseeing the San Francisco Bay. 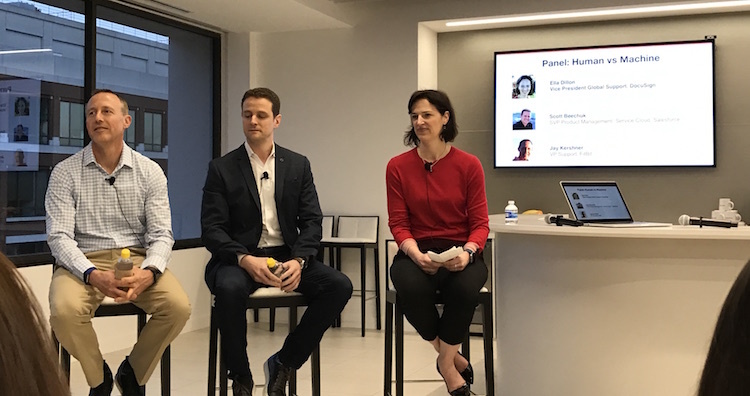 The top notch panel of speakers included Jay Kershner, VP Support at Fitbit and Scott Beechuk, SVP Product Management, Service Cloud at Salesforce. The panel was moderated by Ella Dillon, Vice President Global Support at DocuSign. Fitbit: CSAT is true north, and machine learning will drive the future of satisfaction. With 23.2M Fitbit active users in 55 countries, thousands of support agents across 9 different contact centers handling requests in 9 different languages, Jay Kershner understands the challenges of running a support team. Jay uses customer satisfaction (CSAT) as Fitbit’s true north. The metric is shared across the organization. 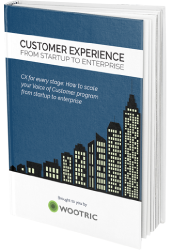 He makes a point of taking his team on a roadshow across the company — and specifically in front of the product and engineering teams — to replay live actual customer interactions. 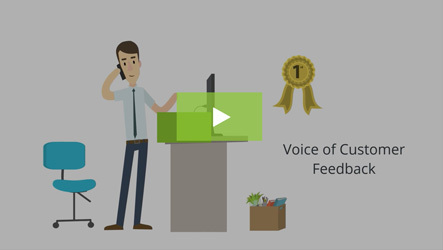 Nothing is more powerful than hearing from the customer first hand: It drives action. Many more metrics are monitored at Fitbit, such as contact rate per product. Machine learning will be the next frontier in being able to provide proactive support. Fitbit stores billions of rows of records on tracker connection history, for example. Jay sees potential in mining that data to detect that a tracker is getting weak and might be about to fail, or that the battery is not as efficient as it used to be. What if, when these anomalies occur, Support could reach out to the customer and request their mailing address, color of choice and a ship a replacement FitBit before the customer ever has to contact their support team? This is Jay’s vision of the future, but here is a lot of work ahead before getting there! Scott Beechuk, Salesforce Service Cloud SVP of Product, started with reiterating how critical the customer experience and success functions are in a company’s growth. How a company treats and connects with its customers is the essence of its brand. 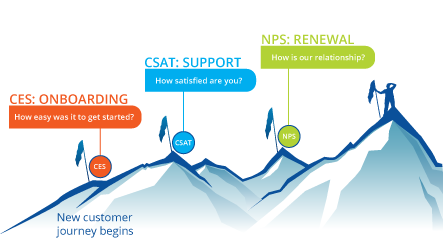 For the Service Cloud product, Salesforce tracks Net Promoter Score(NPS), CSAT and average handle time. They also built a system — they call it the early warning system — that looks at how customers are using the product against 14 metrics and a health score. These factors include whether the customer is logging in, if are they making the best use of what they actually purchased, their engagement level, whether they curating the content on their support pages, etc. The system sends alarms to the account management or/and support team when one of these metrics is out of whack. That’s how the Service Cloud team is embracing the concept of proactive support. The challenge they find is that these metrics can be all over the map: depending on the industry, the size of the company etc. There is no one size fits all. Coming up with different profiles and matching it to a corresponding support experience is the next level in providing personalized customer experience at Salesforce. Don’t miss out on the next customer success meetup in San Francisco, they are always a great way to learn from the best in the field and to mingle with other customer success professionals. 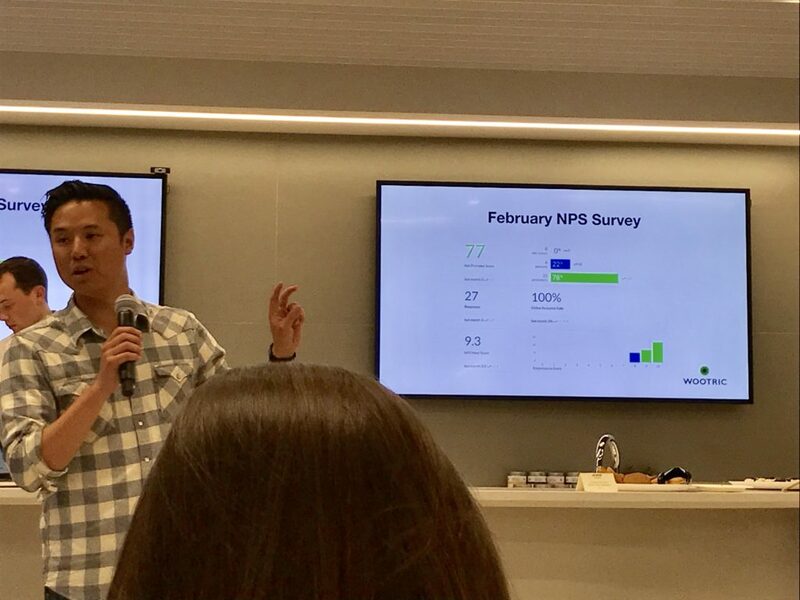 The meetup organizers, like any good customer success team, track the meetup’s Net Promoter Score. Here is organizer Junan Pang sharing the meetup’s Wootric NPS dashboard at Docusign. 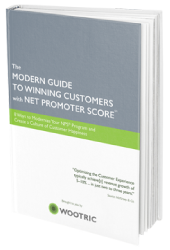 The San Francisco Customer Success Meetup’s Net Promoter Score: 77! Retain more customers. 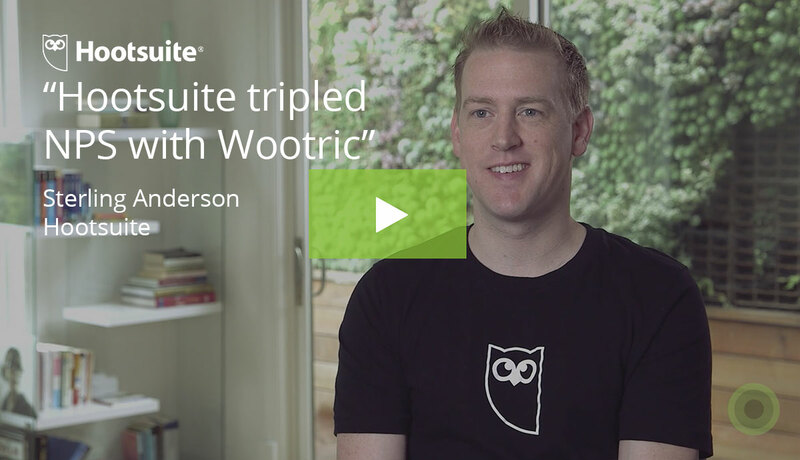 Sign up today for free in-app Net Promoter Score or Customer Satisfaction feedback with Wootric.